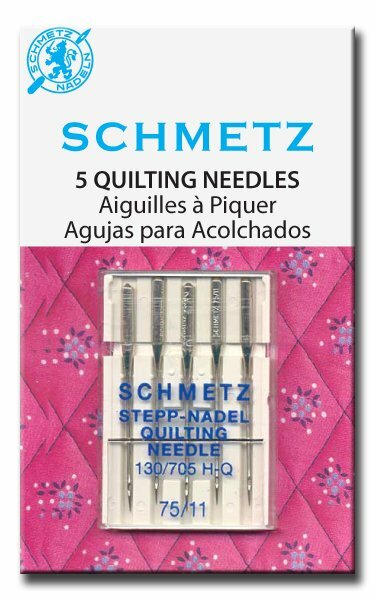 Quilting needles have a special taper to the slightly rounded point and are made especially for piecing and machine quilting. The design allows easier fabric penetration and helps eliminate skipped stitches. 5ct. 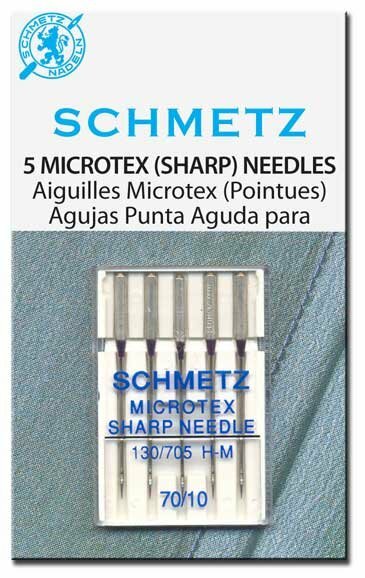 Microtex needles are the needle to turn to when precision stitching on fine fabrics is necessary. 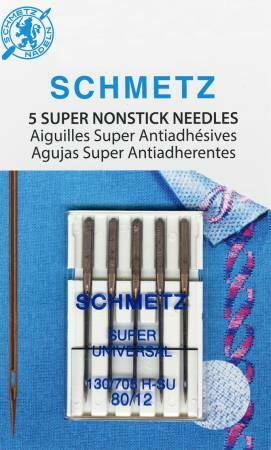 The extra sharp point and slender shaft allow these needles to easily penetrate microfiber fabrics and other tightly woven materials. 5ct. 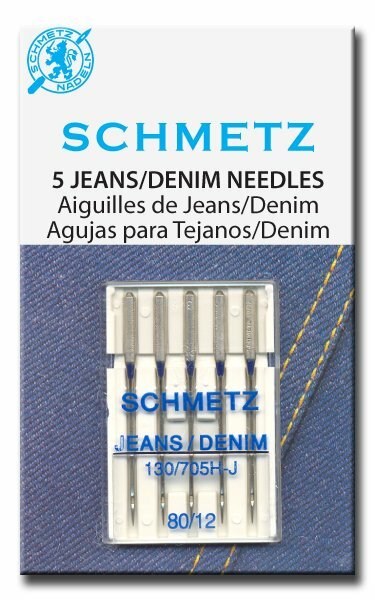 This very strong, durable needle has a special tip to go smoothly through multiple layers of denim. Use this also on poplin, twill, duck and canvas fabrics. 5ct.